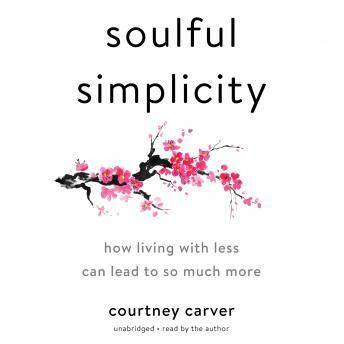 Courtney Carver shows us the power of simplicity to improve our health, build more meaningful relationships, and relieve stress in our professional and personal lives.We are often on a quest for more, giving in to pressure every day to work more, own more, and do more. For Courtney Carver, this constant striving had to come to a stop when she was diagnosed with multiple sclerosis. Stress was like gasoline on the fire of her symptoms, and it became clear that she needed to root out the physical and psychological clutter that were the source of her debt and discontent.In this book, Carver shows us how to pursue practical minimalism so we can create more with less-more space, more time, and even more love. She invites us to look at the big picture, discover what's most important to us, and reclaim lightness and ease by getting rid of all the excess things.